Set of 3 modern abstract art prints, poster set by British artist Omar Obaid. Contemporary home decor wall art. 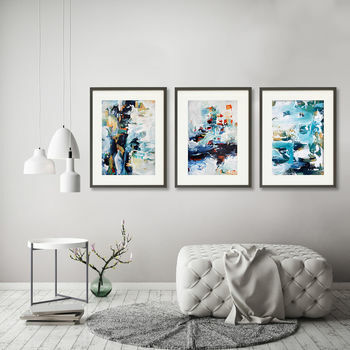 This modern abstract art print set would create a statement in a living room, bedroom or dining room area. Size in the drop down is for each print. A striking framed print set would also make the perfect gift that can be treasured for years to come. 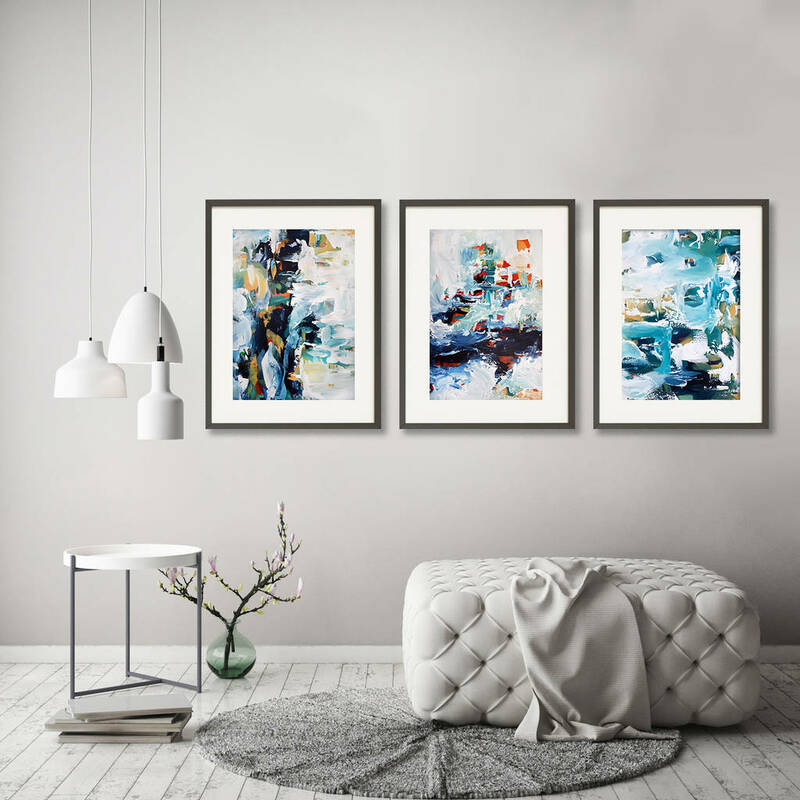 This is a set of three giclée reproduction prints of original abstract acrylic paintings by Omar Obaid. The prints come in A5, A4, A3. A2 or US 8x10" and come either unframed (print only) or in a Black Frame with white mount. Omar Obaid is a best-selling international artist based in London. His abstract paintings are known for their textured detail and vibrant colours, and his work is in private and commercial collections around the world, including London, Sydney, New York and Hong Kong. > Created from an original abstract painting. > Shipped Unframed or Framed in a Black Frame. Please feel free to browse my collection of original abstract paintings, or contact me if you would like a custom original artwork created for you. Professionally printed on premium 220 gsm matte finish fine art paper. This luxury paper has an outstanding colour reproduction with excellent fade resistance, and you can be confident your print will last for a lifetime. This product is dispatched to you by Abstract House.